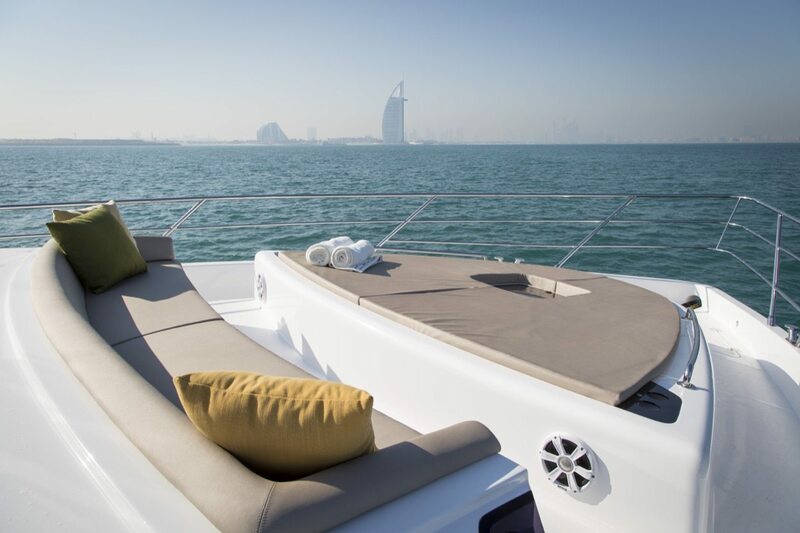 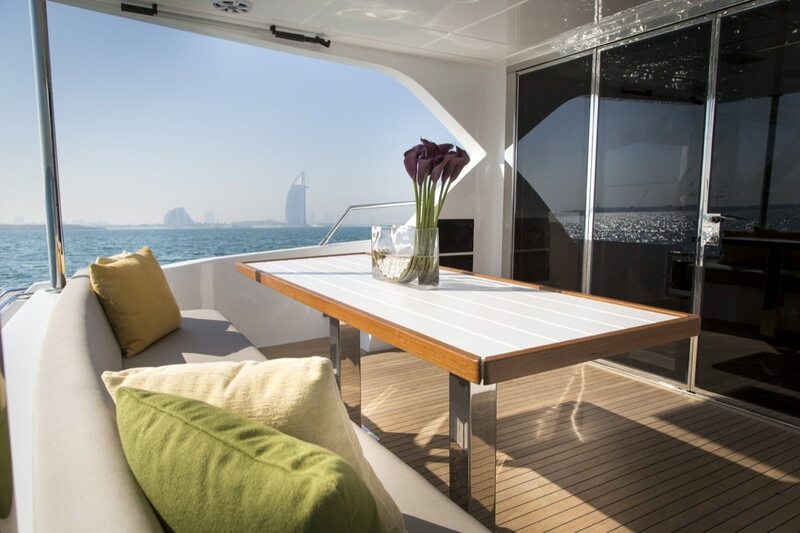 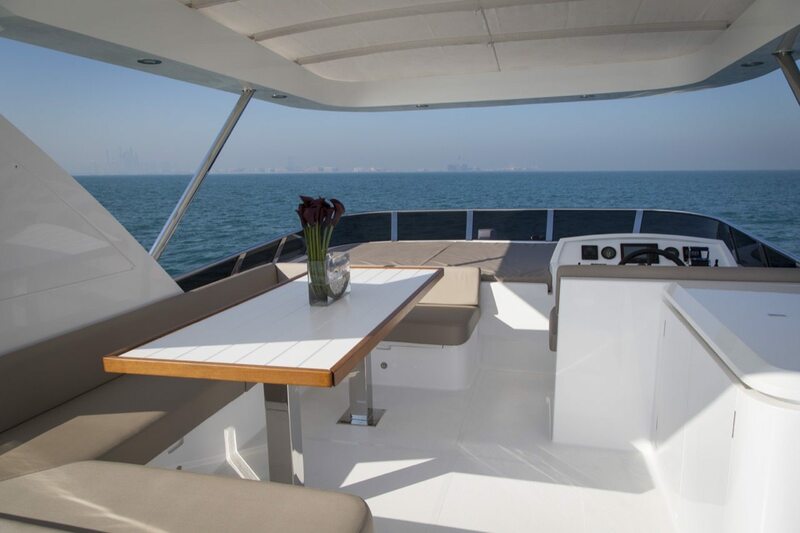 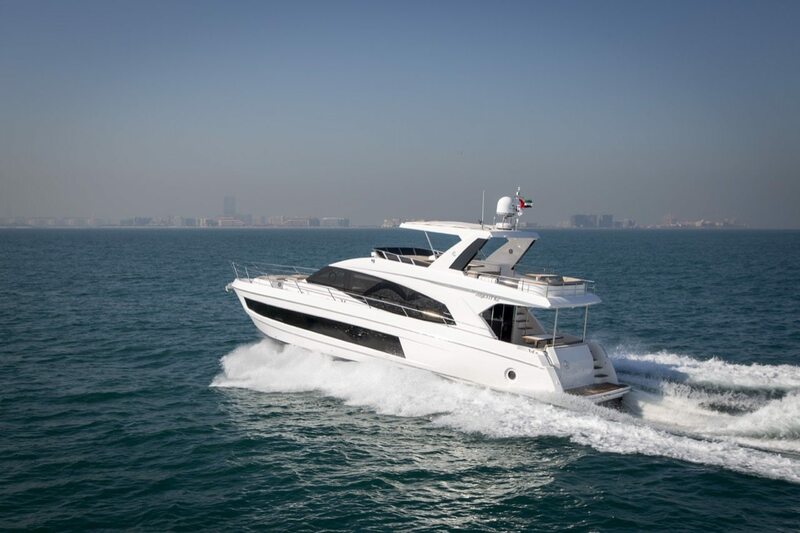 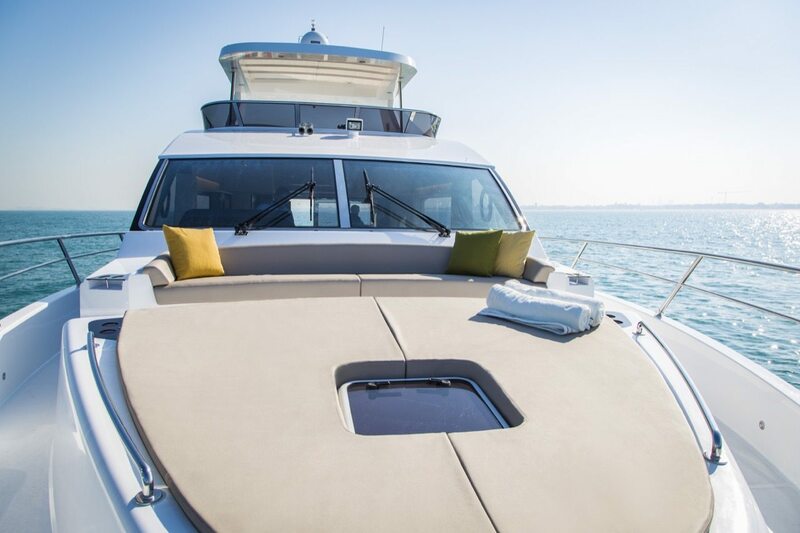 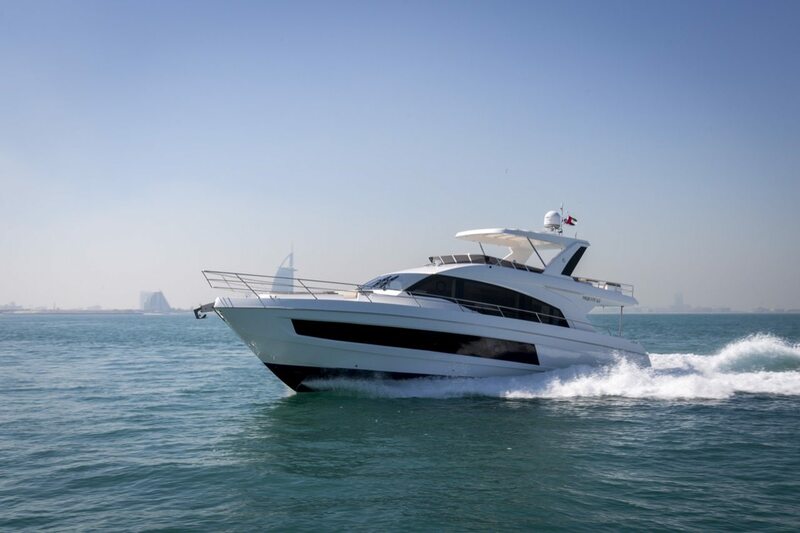 Gulf Craft’s Majesty 62 is a breathtakingly beautiful craft, it boasts of exquisite design as well as engineering. 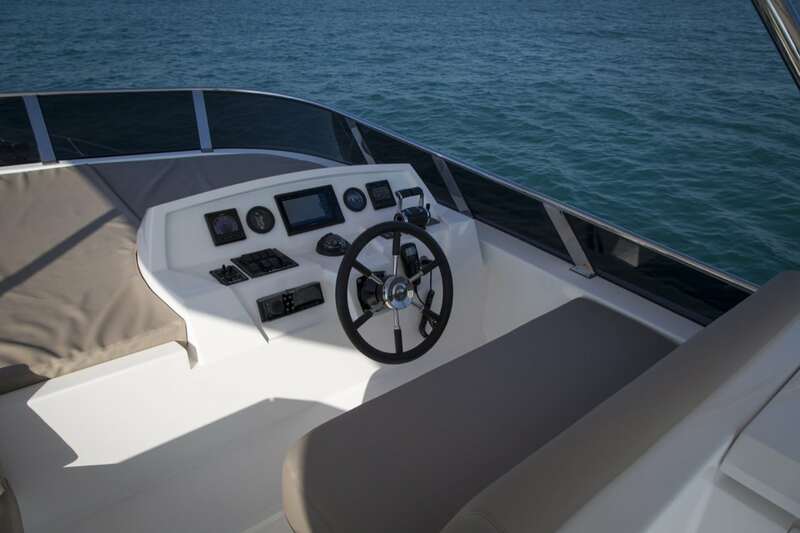 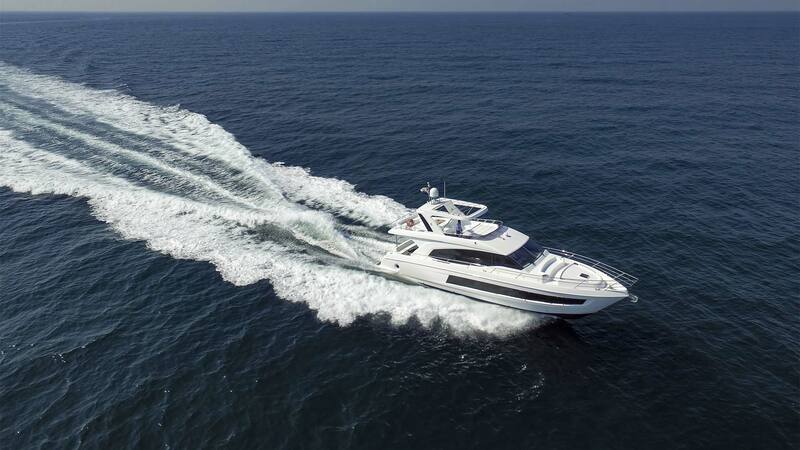 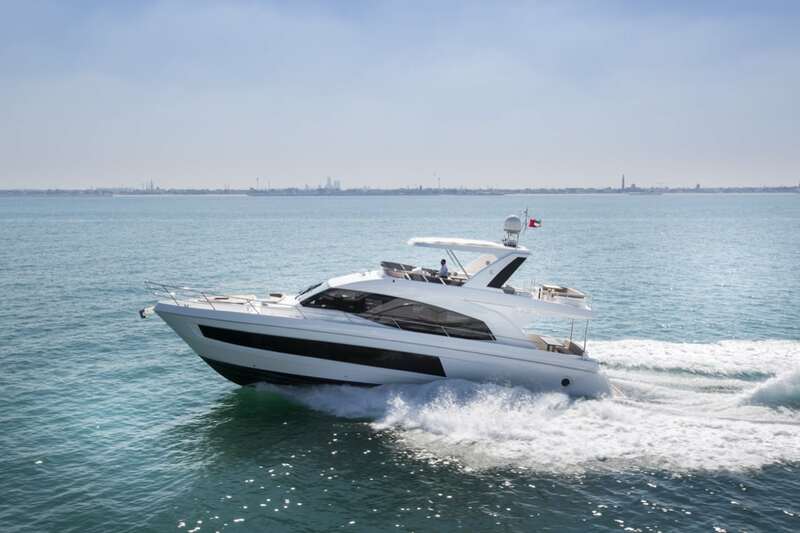 Out at sea, her exhilarating performance feels light and responsive all the way up to high speeds and smooth operation. 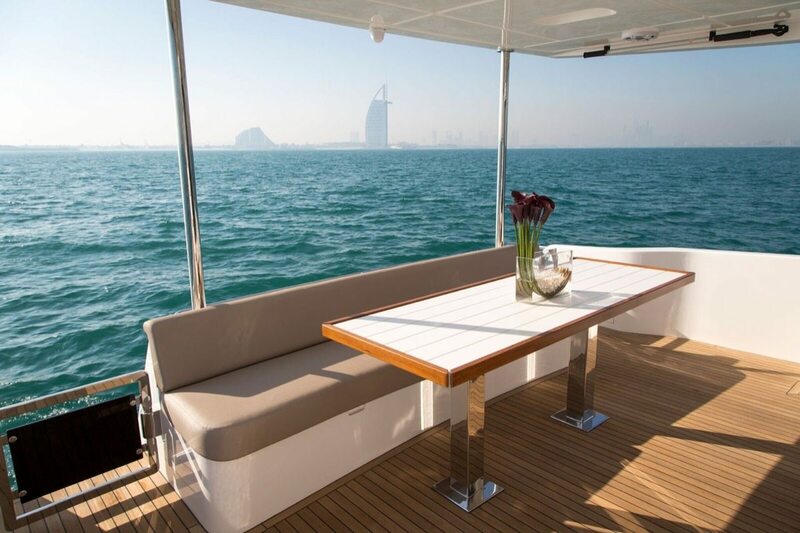 The fly-bridge is designed to maximize outside space making this the perfect choice for leisure cruising. 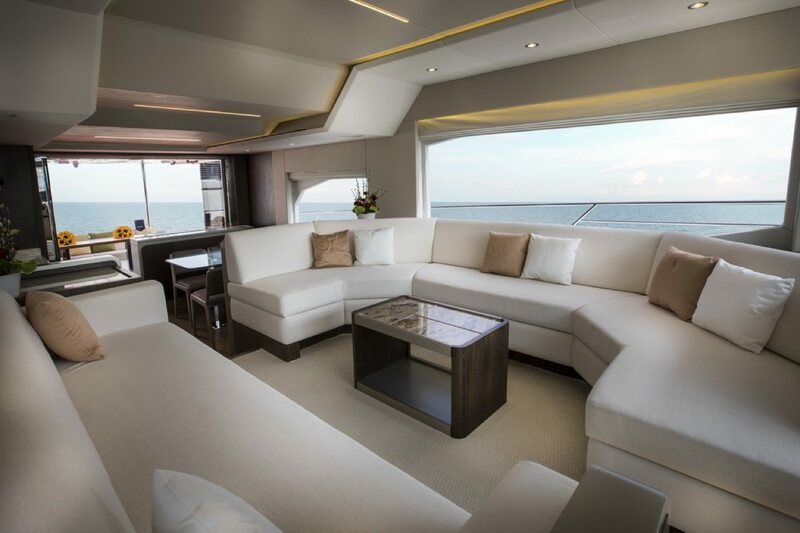 Inside, her appeal becomes all the more alluring. 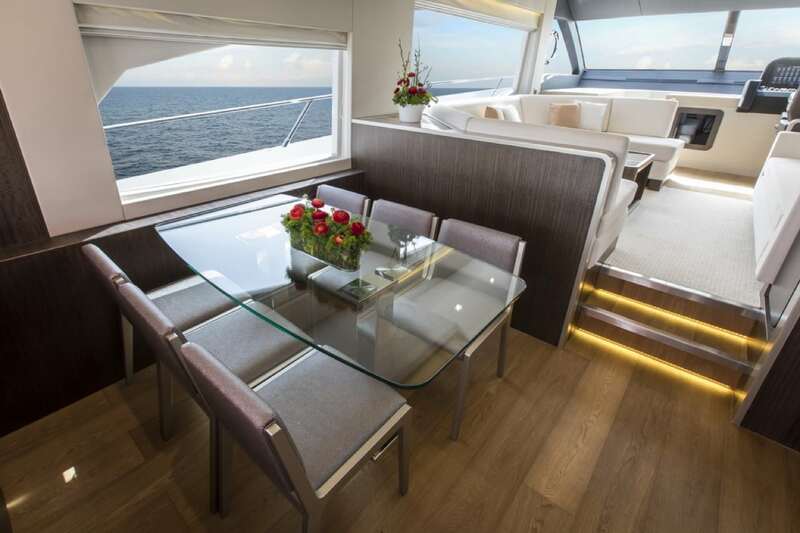 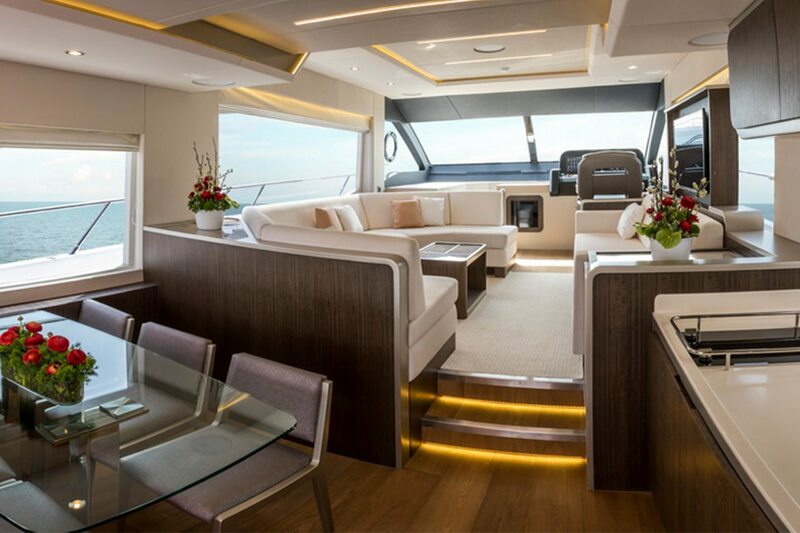 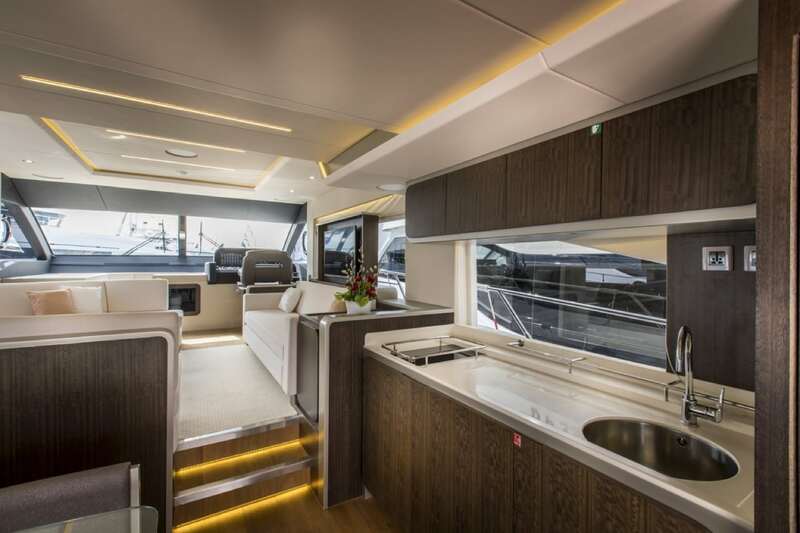 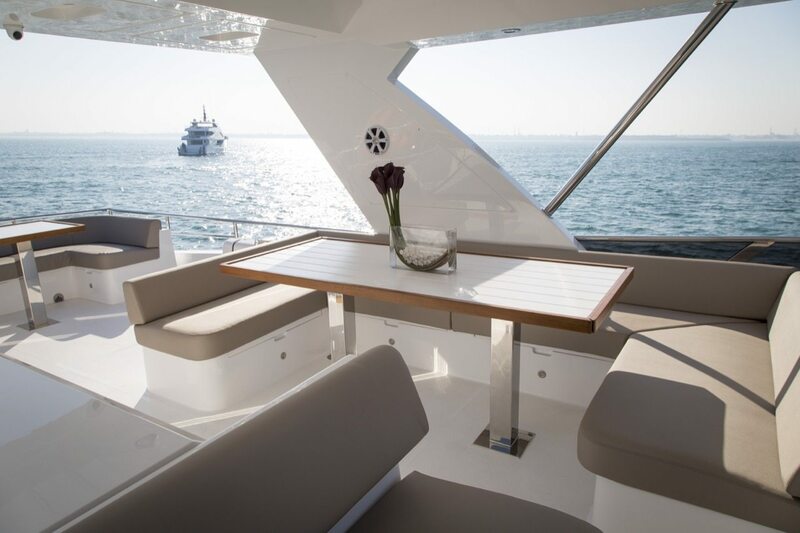 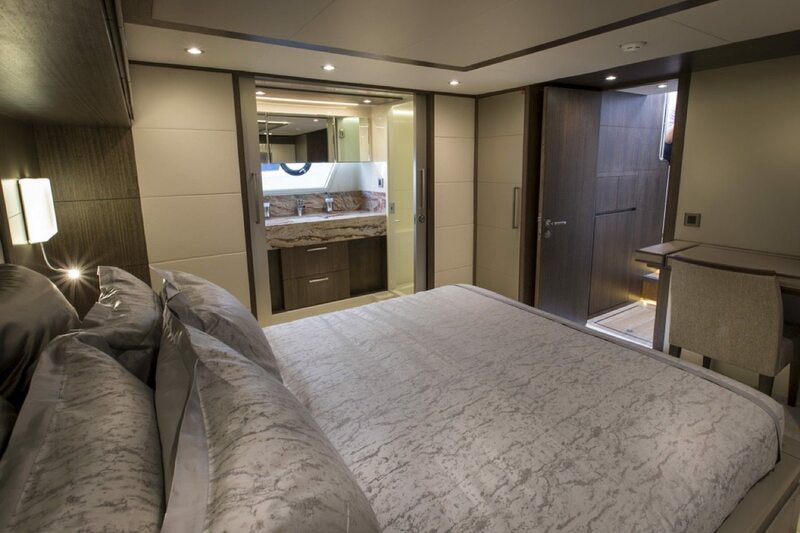 An aft-galley layout is perfectly placed to serve the cockpit, with a huge sliding door that opens the exterior to the interior making it feel uniquely spacious. 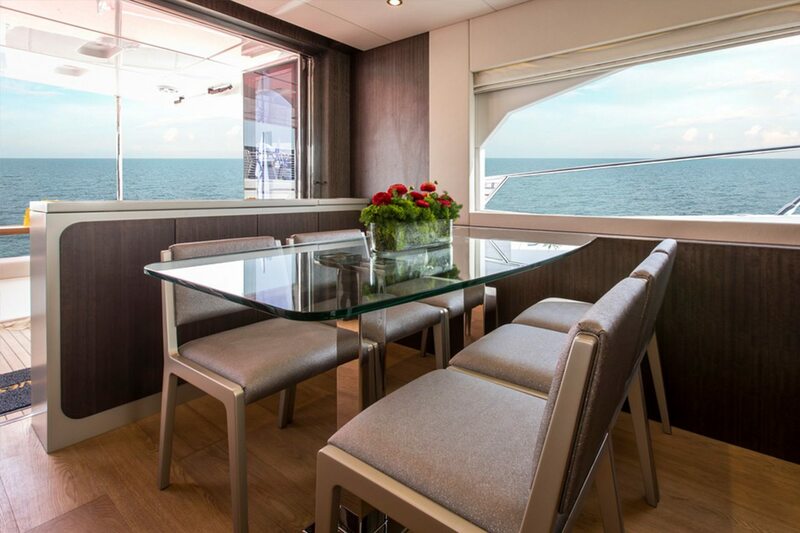 It has been specifically designed with panoramic side windows that creates an “out of water” impression while seated at it main saloon. 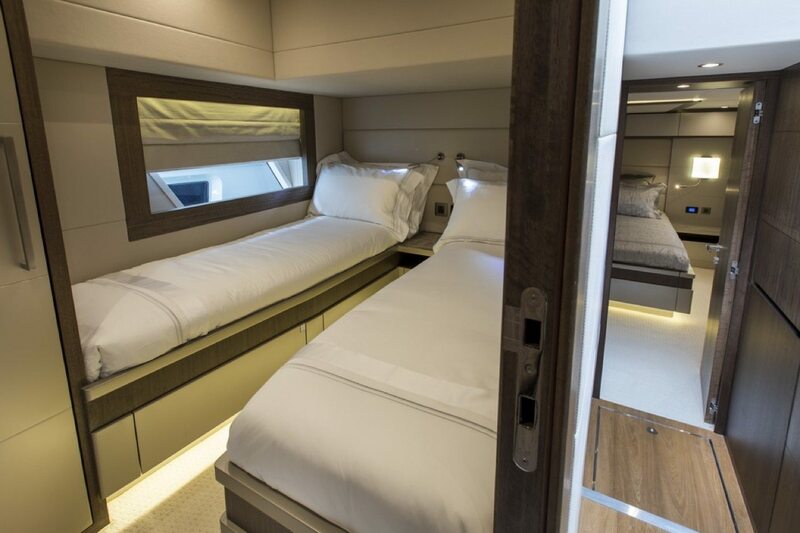 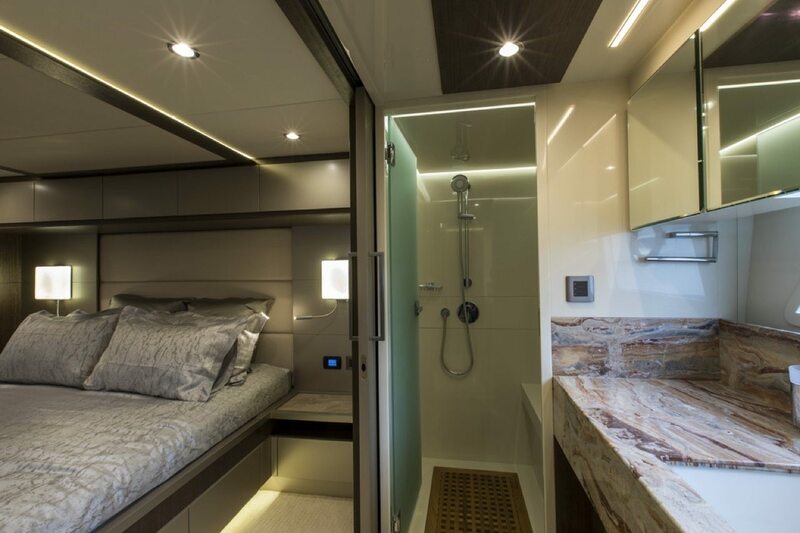 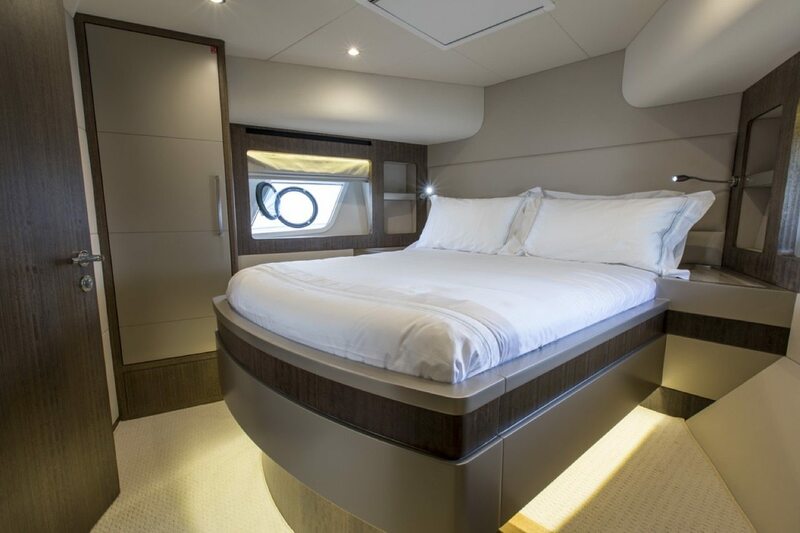 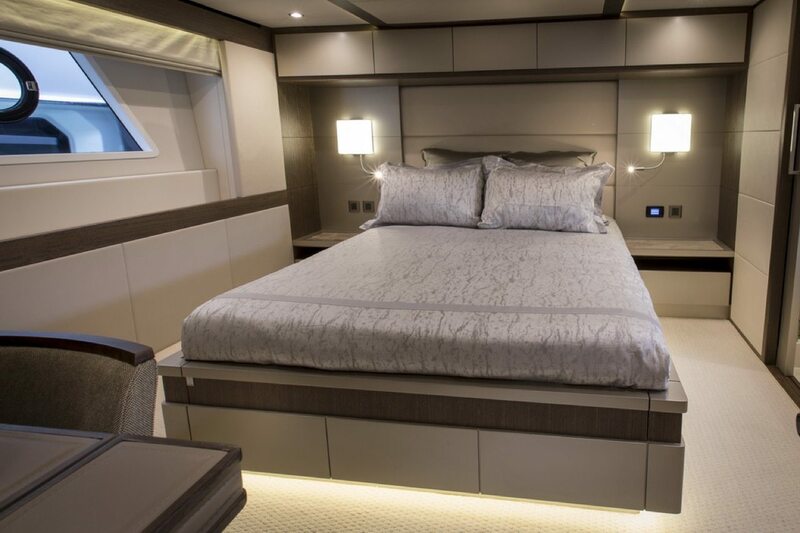 The elegance of her design continues into the sleeping quarters, up to 4 bedrooms, 3 heads and separate accommodation for the crew are possible. 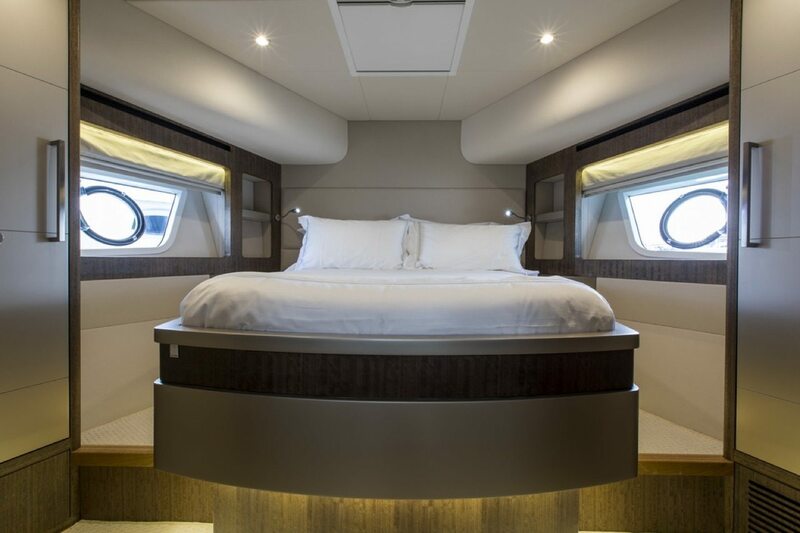 The owner’s cabin is being situated mid-ship allowing portholes on both the port and starboard to bring the feel of light and space also below deck.